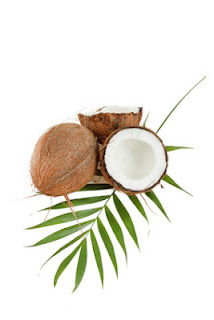 The Life Extension Blog: Can Coconut Oil Combat Tooth Decay? Can Coconut Oil Combat Tooth Decay? Known for their sweet white meat, coconuts are more than just tasty treats. In fact, research shows they may even combat tooth decay. Who knew? Poor oral health is not to be taken lightly. It’s been linked to heart disease, diabetes, and even stroke.2 So it’s important that you take good care of your teeth, if you want to remain healthy. Below, we’ll take a look at the potential that coconut oil may hold for keeping tooth decay at bay. This is pretty interesting, if we do say so ourselves. One of the problems facing scientists today is antibiotic resistant bacteria. Antibiotics, which used to be very effective, are losing their power against common strains of bacteria. Consequently, many researchers are testing natural ingredients as potential sources. In one such attempt to look for alternate sources, Irish scientists tested coconut oil. They tested various species of Streptococcus bacteria against altered (modified with enzymes) and natural coconut oil. They found that enzyme-treated coconut oil inhibited the growth of most Streptococcus bacteria.3 One in particular was Streptococcus mutans, an acid-producing bacterium that causes tooth decay and cavities. Most of us carry these pesky bacteria in our mouth. Now we think this is pretty impressive, considering that man-made antibiotics are very limited and not effective against viruses or fungi. Don’t you think? Coconut Oil Toothpaste — Coming to a Store Near You? So, what are the implications of the Irish study? Pretty straightforward: Coconut oil could someday be incorporated into dental products like toothpaste and mouthwash. Also, it might not be a bad idea to incorporate coconut oil into sugary treats. After all, they are a major cause of tooth decay and cavities. Their high sugar content fuels the growth of cavity-causing bacteria in your mouth, which can literally carve a hole in your tooth (hence the term cavity). What do you think of these findings? Do you use any natural ingredients to help keep your teeth healthy? Please let us know in the comments! Available at: http://www.cdc.gov/healthywater/hygiene/disease/dental_caries.html. Accessed January 12th 2013. Available at: http://www.cdc.gov/chronicdisease/resources/publications/AAG/doh.htm. Accessed January 12th 2013. Available at: http://www.ait.ie/aboutaitandathlone/newsevents/pressreleases/2012pressreleases/title-16107-en.html. Accessed January 12th 2013. Int J Cancer. 2009 Aug 1;125(3):730-5. Where can I get Coconut oil toothpaste and/ or mouthwash? What about oil pulling with coconut oil? Great for teeth and prevention of bacteria. If you keep submitting well written articles just like this then I will always keep returning back to your blog. Really good material. I make my own toothpaste with liquid coconut oil, peppermint oil, baking soda & xylitol...all available at the health food store. Anonymous - Unfortunately, we haven't seen any coconut oil toothpaste or mouthwash products. However, there are many homemade recipes online. Hope this helps! We haven't seen any research regarding oil pulling and coconut oil. I have had very good luck with a colloidal silver based product called "Liquid Dentist". I thin it with colloidal silver I make (SilverGen) to reduce the cost. Several times each week, after brushing in the evening, I then brush with my Liquid Dentist mixture. I've been doing this for about 2 years and my hygienist now finds almost zero plaque on my teeth; a big improvement for me. Is there toothpaste in the market today that offers coconut oil in it? Tate - We haven't seen any yet, but you might want to check out the Internet. A lot of people have posted their home-made recipes online. Many Thanks for the interesting information. I had been making my own toothpaste with the same ingredients listed in an earlier post: coconut oil, baking soda, peppermint oil and xylitol to sweeten. When I told my dentist he was Horrified !!!! He said that the baking soda would be far too abrasive to the enamel. I also was put off due to reading that xylitol ( and ALL of the 'polyol' sugar free sweeteners) are linked with irritable bowel syndrome. I am not keen to use toothpastes with preservatives and other nasties, so I think I will make another batch of toothpaste but this time I will put the baking soda into my coffee grinder to make it a finer, smaller sized particle, and I will sweeten the batch with stevia. There are commercially prepared toothpastes with baking soda ( eg "Arm & Hammer" brand), so perhaps my dentist over stated the abrasiveness of baking soda, anyway, other toothpastes deliberately use calcium carbonate as a mild abrasive - so perhaps the fine particles of ground baking soda would not be any worse than that. You report the results: "They found that enzyme-treated coconut oil inhibited the growth of most Streptococcus bacteria." But, nowhere do you describe the enzymes or how to get enzyme treated coconut oil. Apparently, natural coconut oil has no such effect. The article is misleading to suggest otherwise. Just like the post above I am surprised that nobody says a word about the difference between coconut oil and enzymatically modified coconut oil. Obviously they are different and the reference article mentions that the enzymatically modified coconut oil is effective, but not a word about non-modified coconut oil. Unless somebody clarifies this, the information is rather useless. Thank you Life Extension, I've been a fan for years and retweet your tweets every chance I get. The dental health are so essential with different conventional and dental care. It so entire and toxicity with dental treatments.The dentistry are so concern with amalgam significant factor. YOu really have great way of sharing your thoughtrs.Please keep it up. toronto escots - Thanks for the kinds words and for reading! A small manufacturing business in Tonga called Kenani Estate Co. Ltd. manufacture and produce Kakala, virgin coconut oil with natural essence in a range of tropical fragrances; Mango, Vanilla, Frangipani, Ylang Ylang and Pure unscented coconut body oil. The coconut oil is all natural. The only ingredients are virgin coconut oil and pure essence as fragrance. The oil is in liquid form and naturally solidifies during cold temperatures. Storage in warm areas such as your hot water cupboard to maintain the oil in its liquid form or only requires rubbing between your hands to return it to a liquid state. Coconut oil is a popular beauty product. It is more than just a body moisturizer it also can be used as; a makeup remover, bath oil, hand and foot treatment, hair revitalizing, scalp oil, shaving oil and more. I know they are looking for international distributers and retailers to carry their product so readers, its a great product and shop owners.. it will move off the shelves check out Kakala Polynesian Coconut Body Oil on facebook... So true about coconut oil. This is very interesting topic on oral health.Generally, the public has never heard of this.I'm sure an increase of demand on coconut products will soon increase due to these latest discoveries. Bookkeeping Sunshine Coast - We're glad you liked the topic. Thanks for reading! This is awesome. Coconut oil toothpaste.. yes please and please hurry! I'll be the first to buy it, especially for my family. I'm still understanding from you, but I'm making an attempt to achieve my ambitions. I undoubtedly enjoy studying every thing that is posted on your internet site.Keep the stories coming. I preferred it!. Well, I would agree with the compliments here. This is really a great inspiration. When i was searching some information on dental health I came across your post. I found several methods to fight against tooth decay before but your post shown me a new way. Besides using the coconut oil toothpaste people should avoid eating high sugar and high acid foods to prevent tooth decay. RICHARD WILLIAMS - Yes, good points! It was quite a new information to me! wow! seriously? I didn't know that coconut is also a cure to prevent tooth decay. we love to eat coconut as ingredients for so many foods and there a lot a lot of uses of it. I am also interested with coconut oil toothpaste, I'll surely find that in stores near us. Thanks for the share! Xerxes kho - Coconut oil has anti-bacterial properties. You will find that some people make their own coconut oil "tooth paste" at home. Check out YouTube. Great post! Been reading a lot about combating tooth decay. Thanks for the info here! Oral Health - Thanks for stopping by! This is an excellent and very well written article! Thank you. As a dentist I know that preventing the bacteria that causes plaque is the key to good dental health. I was amazed to learn that coconut oil can actually inhibit the growth of Streptococcus bacteria. I'm definitely going to research this further. Dentist - Glad you liked it! Thanks for stopping by. Hi there! glad to drop by your page and found these very interesting and informative stuff. Thanks for sharing, keep it up! That's an informative article but what about people having invisalign or braces. It is new for me. I know that in toothpastes as antiseptic are using some oils like tea tree oil, but coconut oil is new for me from this perspective.